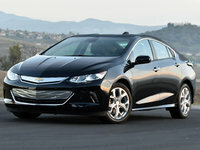 CarGurus has 1,722 nationwide i3 listings starting at $10,900. Most of BMW’s products follow a pretty straightforward styling pattern, with only minor variations in size and shape, and the occasional unique styling cue. The “i” series of cars, however, has forged a distinct style of its own. This new lineup started out with the i8 supercar at the top of the range and the i3 electric urban runabout at the bottom, but will soon expand to include mid-level models like the 4-door i5. Were it not for the kidney grilles on the nose (which are only there for decoration), most people probably wouldn’t guess that the any of the “i” cars are even made by BMW at all, unless they looked closely. But BMW's new lineup of more environmentally-conscious vehicles has become an undeniably important part of the German automaker’s future. 2015 was the i3’s first full year in production, and though it doesn’t have universal appeal, it has sold fairly well to people who live, work, and fight traffic in tightly packed, congested cities like San Francisco, New York, Boston, or Chicago. For 2016, the BMW i3 will get a new battery with more power and a better range; older versions of the i3 can get retrofitted with the new battery as well. i3s with the new battery could have a range of up to 124 miles, which is plenty of distance for most situations and a vast improvement over the 2015 model, but still notably lower than some of the other EVs on the market. The i3's $42,000 price tag hasn't really helped either, and it has failed to sell quite as well as its main rival, the $32,000 Nissan Leaf. Also new for 2016 is the i3 Shadow Sport, a limited edition version of the i3 that BMW unveiled at the 2015 LA Auto Show. The Shadow Sport version gets fluid black exterior paint, a moonroof, dark gray cloth interior trim with blue accents, firmer suspension, and 19-inch wheels. BMW priced the Shadow Sport at $48,395, but it was a very limited run with just 50 units, and all have already sold out. Otherwise, the 2016 BMW i3 comes in a base trim and a Range Extender edition, which adds a 650-cc 34-hp 2-cylinder motorcycle-based gasoline engine that powers a generator giving a significantly longer range. The Range Extender adds a little under $4,000 to the i3’s base price. One advantage of many electric cars is their straight-line performance, and while you shouldn’t expect a Tesla-like drive from the i3, it does have some grunt. The full torque, which is abundant for a small urban hatchback, is available instantly at the rear wheels, negating the need for multiple forward gears. Going from 0-60 mph should take about 7 seconds, which is on par with a number of recent performance cars. The 2016 BMW i3's mileage numbers are rated at 126 mpge city/101 highway. 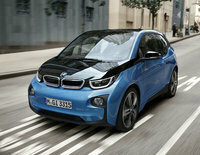 The i3 is now the most energy-efficient car sold in the U.S. for the third year running. The i3, like most other electric cars, is amazingly smooth and quiet on the road. It also employs a regenerative braking system, which kicks into action as soon as the driver backs off the throttle pedal, and handles most of the braking itself. Of course, this means the brake pedal is used far less often in the i3 than in other cars, and that will likely take a bit of getting used to for new i3 drivers. The i3 is a tall and boxy car that’s not the best choice for country back roads, but it has a turning circle of 32 feet, extremely adept for urban environments. While the interior of BMW’s i8 supercar is a more or less familiar sight to anyone who owns a modern high-end automobile, the i3's interior is decidedly wackier. With lots of renewable materials and interesting color combinations, it seems like a sort of playground for BMW’s designers. But at the same time, it’s a roomy and pleasant place to be. At the center of the dash is a 10.2-inch display screen controlled by BMW’s familiar iDrive knob on the center console, and a knob behind the steering wheel allows the driver to select between three gears: park, forward and reverse. The i3's body is made of carbon-fiber-reinforced plastic, sitting atop an aluminum platform that contains the battery and electric motor. Six airbags are standard, and optional safety equipment includes a Parking Assistant package and a Technology + Driver Assistant package that add things like a rear-view camera, parking sensors, park assist, and adaptive cruise control. Crash test results for the i3 have been mixed, but its carbon body and built-in energy-absorption structures mean it's safer than it looks. Even in its third official year of production, the i3 is still almost completely unique, one of the most futuristic cars on the road. 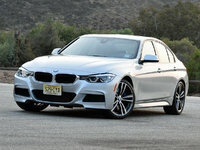 BMW stepped far outside its comfort zone with both "i" vehicles, and the move has paid off so far, attracting customers who may never have contemplated buying a BMW before, and garnering the company endless publicity as one of the most forward-thinking automakers in the business. 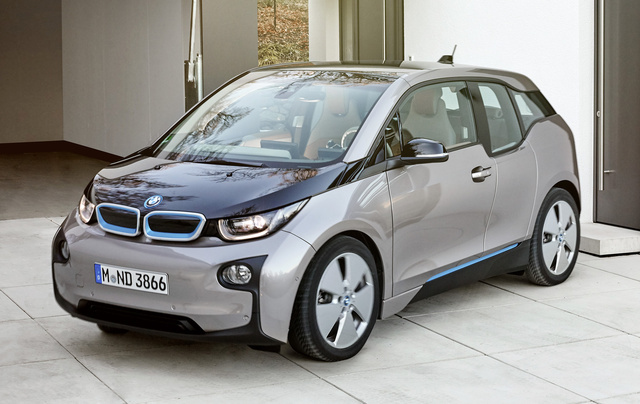 What's your take on the 2016 BMW i3? Users ranked 2016 BMW i3 against other cars which they drove/owned. Each ranking was based on 9 categories. Here is the summary of top rankings. Have you driven a 2016 BMW i3? How To Remove The Rear Camera On A 2016 I3 Bmw?